Well, the troll isn't quite dead. It's on a stretcher. It is still warm and breathing a bit. You know that if you put water on it, it will recover. The other troll you fought was a mangy beast, mostly naked. This creature is bigger and better fed, wearing leather pants, and has small horns, and large tribal scarification marks on its arms and chest. It also seems to have had its teeth ripped out. The stretcher doesn't contain much else, but you do find a cloth bag stowed away in the stretcher containing...teeth, of the troll. 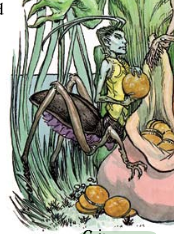 Looks like the bugbears ripped them out for some reason. No one in the party knows any lore connected to troll teeth. But, sometimes bugbears and goblins use antler bits, horns and teeth as spiked inserts for their clubs, so maybe that was the idea. (I'll get you moving down the road soon). The fight happened in TO3. 4EP down. If you head southwest towards Q04, as you say, that will mean going into the woods off the road, first to SO4 and then R04 at the day's end. Is that what you want to do? Or did you want to use the road? I was thinking about taking it off road to hopefully avoid any more war parties travelling down the road. I'm thinking they could have a better chance of finding decent cover to lick their wounds. Entering S04 and praying the GM does not roll and encounter - - nothing. R04 - you find an ancient stone avenue monument in this hex leading north south. It looks a bit like this except with trees (and no road, d'oh). It seems to go for a quite a while in either direction. Maybe a mile. Dwarf lore says that structures like this were built millenia ago by an early race of dwarves called the Pech, who were later replaced by the regular mountain dwarves. You have run out of EP. You can push on but you will be VERY tired tomorrow and you will not get hit points back overnight tonight. Or, you can make camp in this hex and see what happens. Milly will pass on her concerns to the Dwarves, but they, especially Cholum and Chevo, who are shambling walking wounded at this point, will tell her to calm herself, they can travel no more today. They'll build a camp near a location where it'll hopefully be easy to bug out from, though not overly exposed to the elements or prying eyes. Anyway, the priority is to get some quality rest. Watch order will be Milly while still somewhat light out ,then Thann, Henry, and Cholum. Each watching for 2 hours. Milly is still with you. She has been flying overhead. It looks like she has broken free of the small leg tether set by Mannish, and come to find you. Her leg is sore but otherwise she is OK.
You make camp. The Weather holds. 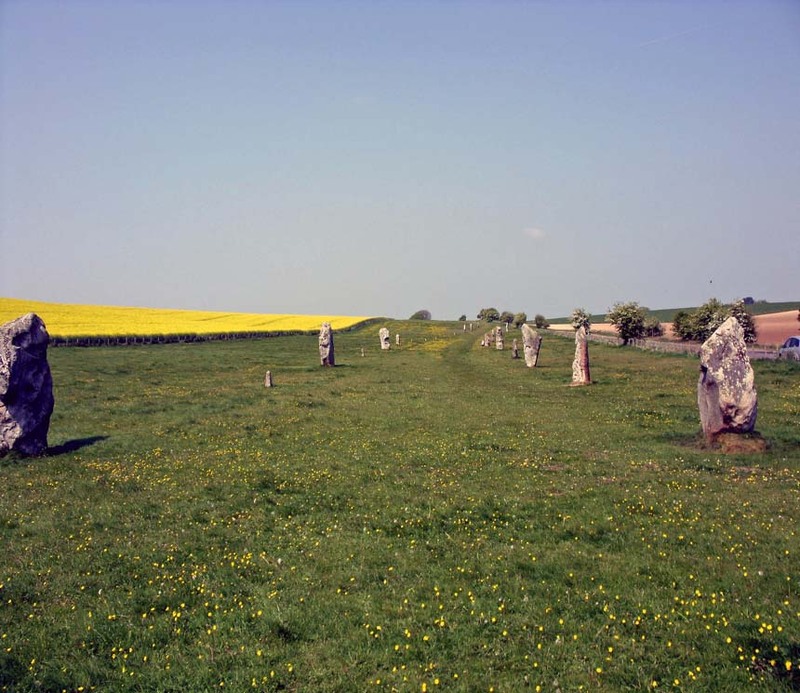 During Milly's watch, she has an incredibly vivid dream of the place you are now in, near the old standing stones. She sees Cholum walking forward into the night, moving away from the camp. She also hears the sound of a violin playing in the distance and Cholum appears to be moving towards that sound. The, she sees a peculiar creature come into the camp and begin looking through your rations pack while Cholum is off looking in the other direction. It is about 2 feet high and looks like a grasshopper / elf. Everyone else is fast asleep - even the owl. (I have mentioned before that this owl appears to have been trained out of being nocturnal). She can continue this vision for quite some time. She sees the small creature raid your food supplies as well as having a close look at the dwarves' wounds. Eventually, it steals some food and some arrows, and leaves again, bouncing away with as much as it can carry. The vision ends and Milly awakes. Milly will stay calm about her vision, expecting that perhaps the little being isn't necessarily dangerous. She will however, sleep near where Cholum is, so that when his watch is up, she will be disturbed slightly, allowing her to wake up. My idea is that she'll pretend to sleep during Cholum's watch in case the events play out as foreseen. If they do, she'll try to stay quiet, then follow the creature, talking softly if she gets an opportunity. She'll try not to wake the easily angered dwarves as well. That plays out like this. That night, as everyone is sleeping except Cholum, the sound of a magic violin is heard in the distance yonder. (Milly dreamed of a violin previously if you recall). Cholum fails his save and begins walking in a dazed state towards the noise. His movements awake Milly...who also fails her save. Badly. She follows Cholum, drawn to the magic violin. She finally makes a save a while later, after having lost track of time. She finds herself in total darkness, a way from the camp (she is not sure how far back it is). Cholum is in front of her, still in a daze, still walking forward. The violin sound is coming from a tree about 40' in front of her. Oh Milly... it was such a simple plan! They'll return to the camp quickly, while trying to minimize the noise they make, in case they can intercept one of the creatures. Fingers in ears - check. Kicking the dwarf - check. He makes his save quite easily and snaps out of it. Then he sticks his fingers in his ears. Milly makes a follow up save (at +4) and you are protected against the noise. You both sneak back to camp, which was quite a long way off. The violin changes its tune, and by the time you get back to camp, there is no one there. Two day's rations and some arrows (4) are missing. That's probably all it could carry. Soon after that the violin ceases and the night is still again. Nothing further happens that night. Unless you give chase? What plans for tomorrow? The weather is OK for travel.